Many archaeology digs have taken place at Furnace Town to tell us how people lived here between 1830 and 1850. Dig sites have included the Mansion House, Brick Oven, Warehouses, and sites just west of the present church. Artifacts, items found made or used by people, give us the inside story of Furnace Town. We can read about how the furnace operated or learn about the different trades here, but to examine a piece of history puts a human face on the era. We can see the pieces of pottery found here and gain a sense of the economy (the fancier the pottery, the more well to do people were). We can look at a domino and know a game that people played. We can examine some of the tool fragments and see what work might have been done in and around the furnace and in the village variously called Nesongo and Nescongo. All of these make up the broader picture of day to day life. Almost no Native American pieces have been found. Although tribes were in the area, most were settled in Askiminokonsin (Indian Town) a few miles east of the Furnace. 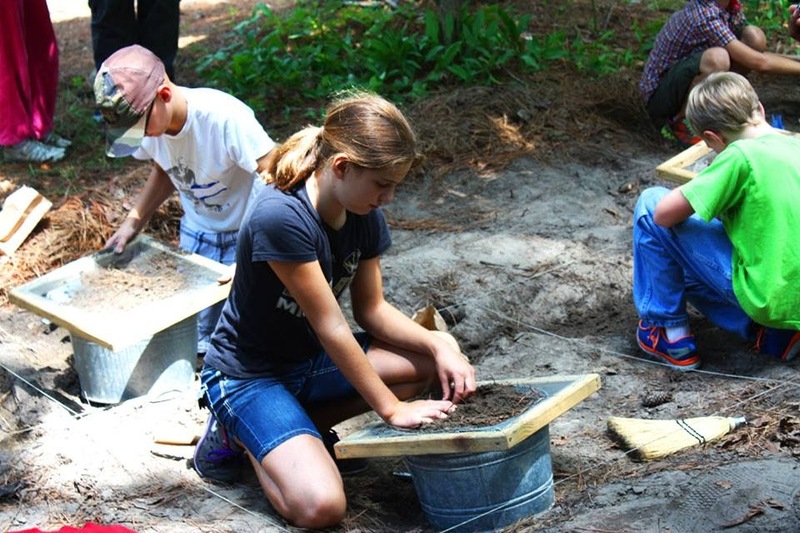 A public archaeology program is offered at Furnace Town. The current dig site is just west of The Brick Oven, and east of The Mansion House. We find a variety of ceramics, stoneware, (building materials (nails, brick, mortar, plaster, window glass), hinges and bottle glass. The Public Dig Program is open to everyone from age 12 or older. Check our event calendar for available dates. All equipment is supplied by Furnace Town. Digs are 2-3 hours. Cost: $15/pp. Sign-up below. School, scout, youth or private groups are encouraged to reserve a date to dig by contacting Furnace Town at 410-632-2032 or complete the form below.